Technics unveiled the new SL-1500C Premium Class direct drive turntable system. The SL-1500C inherits the brand's high-end sound quality concept and adds a host of original Technics technologies, such as a core-less direct drive motor and high sensitivity tonearm, while also includes a built-in Phono EQ and a high-quality Ortofon 2M Red phono cartridge to simplify installation and use. 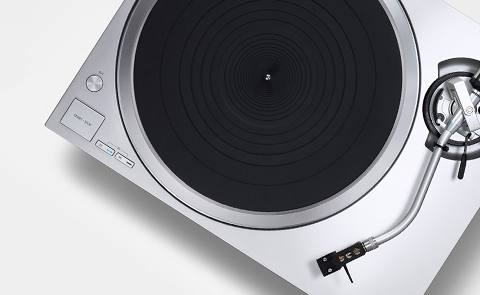 The new turntable uses a single-rotor, core-less direct drive motor in which the stator has no core and eliminates the rotation irregularity effect called cogging. According to the press release, the magnetic force of the rotor magnets was improved to the highest possible level, and the gap between the core-less stator and rotor magnets was optimized thus achieving high torque performance equaling that of the SL-1200MK5 while eliminating mechanical noises. Furthermore, the motor control, which utilizes the latest technology refined through the development of Blu-ray disc products, was optimized in accordance with the platter weight, the company stated. The tonearm is a static-balance universal S-shape tonearm made of lightweight, high-rigidity aluminum. Its gimbal-style suspension consists of a machined housing and high-precision bearing to provide high initial motion sensitivity. An auto-lift mechanism is included. The platter features a two-layer structure with deadening rubber on the entire back surface to eliminate unwanted resonance in the aluminum die-cast platter, offering high rigidity and outstanding vibration-damping characteristics. SL-1500C features an aluminum die-cast chassis, integrated with a special material consisting of ABS mixed with glass fiber to achieve a two-layer construction. Technics says that the combination of this material and the chassis raised the rigidity and vibration-damping performance to higher levels. There is a built-in phono equalizer amp, compatible with MM cartridges so the turntable can be connected to any line input. The dedicated power supply for the phono is isolated from the motor and control circuitry power supply, to reduce the noise. For easy installation, the supplied universal head shell is mounted with an Ortofon 2M RED cartridge. Additionally, the tonearm height can be adjusted within a range of 6 mm to enable the use of various other phono cartridges and the auxiliary counter-weight that comes with the product allows any cartridge weighing from 14.3 to 25.1gr (including the supplied head shell) to be used.